Apple has unveiled its latest new hardware, including a revamped iPad mini and updated AirPods, both of which were released on Tuesday and Wednesday respectively. To promote the new items, Apple CEO Tim Cook took to Twitter to share an image of himself writing "hello" on the new iPad, which inadvertently led to a string of memes. Making light of the situation, he then decided to jump on the trend by resharing the same image on Wednesday, this time with the newly-launched AirPods taking center stage. Twitter users decided to have a little fun with the photo, with one hilariously writing, “I don’t speak broke,” in place of the AirPods drawing. YouTuber Marques Brownlee has also joined in the fun by mocking it with an image of the long-overdue AirPower charging mat. Another Twitter user imagined Cook drawing out “I Love Samsung” on the iPad mini instead. Tim Cook’s Twitter account has been a source of humor of late. 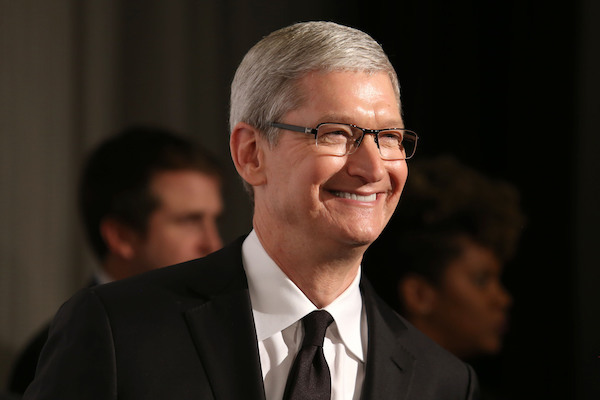 President Donald Trump recently renamed him as “Tim Apple” during a meeting and Cook immediately responded in stride by switching his name to “Tim Apple” on Twitter.